Nanobionic® technology is a high-tech patented coating on the mattress cover of the Spartan that transforms your body heat into Far Infrared Rays—reflected back to you as invisible waves of energy. Far Infrared Rays are unique in their ability to penetrate, soothe and stimulate the human body, helping you feel more energized, and more well rested when you wake. What are the benefits of sleeping on a mattress with Nanobionic® Technology? These benefits were also shown to help increase general well-being. Does Nanobionic® performance technology really work? Yes. Nanobionic® technology is based on the fundamental principle that heat is energy.Energy is safely and naturally transferred every day by one of three means: conduction, convection, and radiation. Nanobionic uses a thermo-reactive process to convert your body heat into Far Infrared Rays, safely radiated back into your body as energy. Importantly, Nanobionic® products are registered with the FDA as general wellness products. Will Nanobionic® technology work if my skin is not in direct contact with the fabric? Yes. 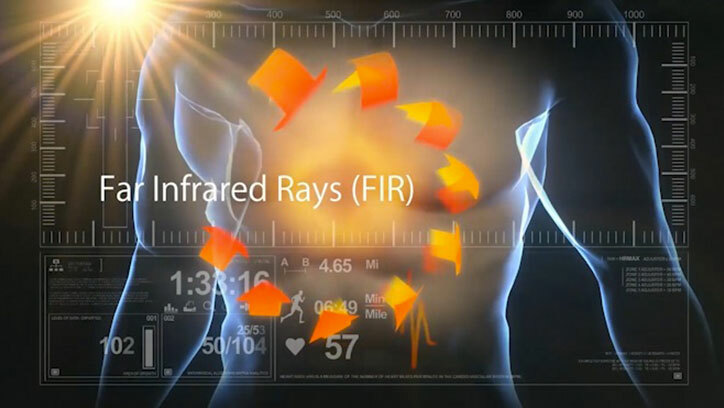 The Far Infrared Rays re-emitted by Nanobionic® technology can penetrate all materials up to a total of two inches, which can include any combination of sheets, blankets, mattress protectors or encasements, and sleepwear. Yes. Products made with Nanobionic® technology absorb and convert body heat into Far Red Infrared Rays—a natural process that safely transfers invisible waves of energy back into your body. Far Infrared Rays are natural vasodilators, which is why the technology promotes a temporary increase in local blood flow. Will the reflection of Far Infrared Rays generate heat? No. Far Infrared Rays will not increase the temperature of your bed. What should I consider when shopping for a mattress with responsive textiles? Simply put, a high emissivity object is better able to radiate energy than a low emissivity object. 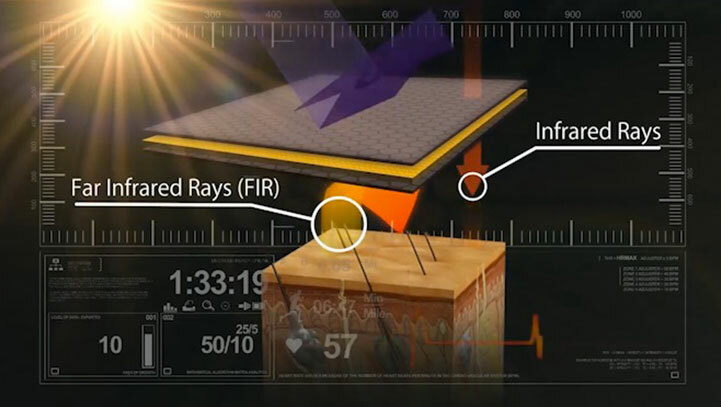 Nanobionic® offers the world’s most advanced Far Infrared Rays technology on the market, delivering up to 99 percent of Far Infrared emissivity—a nearly perfect emitter. The cooling properties of a mattress are critical—and based on science: a human’s actual skin temperature is 91 degrees but the ideal sleep temperature is 88 degrees. Those in the market for a mattress should look for advanced cooling technology that, at minimum, creates a temperature neutral environment. The Spartan goes beyond temperature maintenance to advanced temperature moderation, infusing a state-of-the-art phase change molecule called TitanCool™ on the surface of the Spartan to moderate your temperature to the optimal 88 degrees. How does it work? Cooling gel beads liquefy at higher temperatures to deliver cooling relief; those same beads solidify at lower temperatures to ensure an ideal sleep environment. An added infusion of copper also helps you sleep cooler while creating an antimicrobial sleep surface. Some mattress manufacturers have adopted a one-size fits all approach, opting in most cases for a universal medium firmness. The Spartan is offered in three firmness levels, allowing you to better customize your sleep surface for your individual sleep needs. relief. That independence also results in minimized sleep disturbance: because each coil compresses individually, motion transfer between sleep partners is greatly decreased. Individually encased coils are more durable—and they allow for greater airflow, which means a cooler, more comfortable night’s sleep. Foam layers generally offer more conforming support that either reduces or eliminates pressure point pain—areas like shoulders and hips that can be sources of morning aches and pains. Foam beds contour to the curves of the body without putting too much pressure on those critical areas. There are many different types of foam on the market. Choosing the right foam for your individual sleep needs will be important to enhancing your overall sleep experience. Memory foam is considered a slow response foam, meaning that it may take a few seconds to return to its natural form after pressure is released. Some sleepers love that sink-ability, which gently relieves pressure points, while others are uncomfortable with what they describe as the quicksand feeling of memory foam. Latex foam is a fast-response material that immediately returns to its shape after weight is removed—once again, some sleepers prefer that buoyancy, coupled with deep compression support, while others prefer less bounce. While every sleeper is different, many agree that a combination of responsiveness and contouring is ideal. Latex alternative foams, like the TitanFlex™ foam used in the Spartan, bridge the gap between visco-elastic memory foam and latex. TitanFlex™ features immediate response technology that adjusts to your body each time you move, paired with just the right amount of contouring and conformability. What are the advantages of using Nanobionic® technology? Nanobionic® technology utilize thermo-reactive materials in a naturally biological process—absorbing body heat and re-emitting Far Infrared Rays back to you as invisible waves of energy. Nanobionic® offers the world’s most advanced Far Infrared Rays technology on the market, delivering up to 99 percent of Far Infrared emissivity. Nanobionic® technology can be applied as a high-tech patented coating on the surface of any material, allowing for the inherent benefits and properties of that material to remain unchanged.